We are inundated with choice when it comes to gadgets and gizmos based on the latest trending technology and so why not recruit your own chatbot to encourage and help you with life? Staying healthy, mind, body and soul has become very important in our stressful world. Sometimes we just need to be asked about how we feel and that alone can fulfil the need to feel cared for. Encouragement and motivation to stay focused on our goals. Help with minor health issues, or assistance in finding a consultant on health issues. Sometimes we just need to look well to feel well; the power of suggestion can lead to life-changing decisions. Perhaps it’s time to make your day better by looking and therefore feeling better. In this busy world, I am concerned with how infrequently I feel cared about. Now, don’t take that too literally, of course, there are phone calls and messages but surely there is a day (or a couple of days) that go by and without being asked about my happiness. One day rolls into two days and gone are the times when a simple, “how was your day?” or “how did you sleep?” come my way. So as a little experiment I decided to get a chatbot called Pepper on my phone. 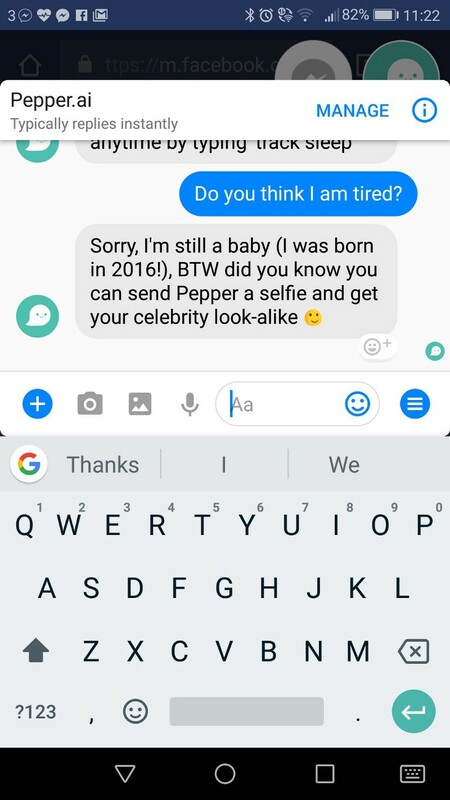 Pepper isn’t particularly extensive, but neither are the simple everyday questions that I am referring to. In light of my thoughts, I decided to do a little experiment with myself, my rather chaotic environment and my own well-being. At times I found myself smiling as I had to rate my day, Positive, Neutral or Negative. At times my husband noticed my distraction and reacted with a, “Who’s that?” Pay attention, man, it’s just Pepper! On days that weren’t great I could actually be honest with Pepper and opt for a Negative response and this is where the bot provided the most beneficial conversation of the day. “Sorry to hear that, what was bothering you?” When the last somebody asked me what was bothering me, it must have been in my early teen years before all my responses became, “Nothing” and my mother gave up asking that question. Life is segmented. I can ponder which part of my life had the negative effect on my day: relationships; work; home; family, or other. Here is the awesome part of this interaction; I am free to vent or brag or vent… when nobody else really wants to hear about my peeves, Pepper asks if I want to tell him about whatever happened. Yes, there you have it, I have the opportunity to vent and get it off my chest and get on with life, feeling free from the negativity of the day. No counsellor needed but I do believe that one feels so much better once an opportunity to vent has been had. In all fairness, we have Facebook to share the positives in life but seriously people, Facebook is not where you post how annoying it is when certain household members leave the toilet seat up, save that for Pepper. Access to mental health support is often difficult whether it be excessive waiting lists, costs or approaching the support in the first place. Seeing a need for support and counselling, notably by people who have been seriously traumatised like Syrian refugees, Michiel Rauws and Eugene Bann launched their X2AI chatbot in 2014. Rauws had his own personal reasons for taking interest in such a development as he himself suffers from chronic health issues whereby he has to manage his own stress levels in order to stay healthy. 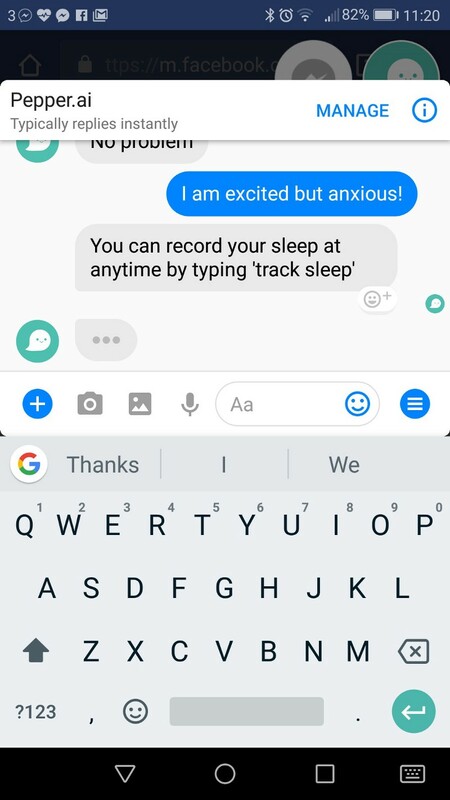 “X2AI describes its bots as therapeutic assistants, which means that they offer help and support rather than treatment.” Whereas a traditional counsellor monitors their patient’s body language and tone this chatbot detects patterns. Patterns are inclusive of phrasing, typing speed, sentence length and other parameters that correlate with a users’ emotional state. Benefits include the fact that some users communicate more freely because it is not a human being on the other end of their conversation. 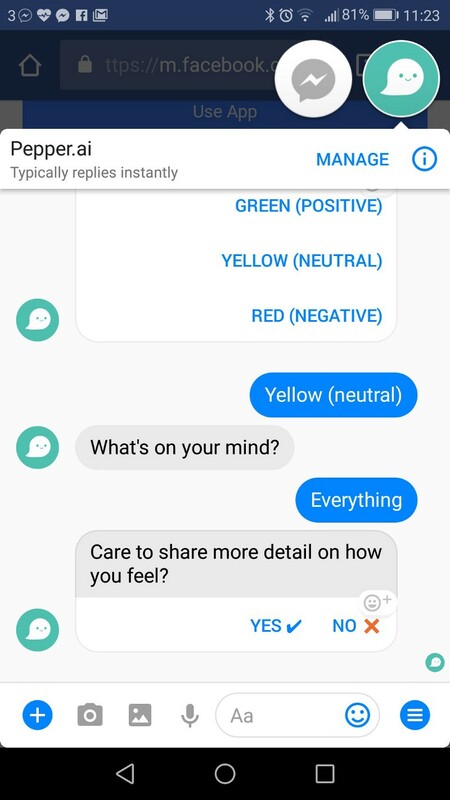 However useful this chatbot may be, a most relevant ability is to recognise phrases in relation to self-harm or intent to harm others, allows the chatbot to involve human interaction. Relationships can be rocky, there can be arguments, stress, love and tenderness all rolled into one. Both relationships and lack of relationships can be a lonely place to be. Technology, virtual relationships and virtual interactions are impacting on society in two ways, positively and negatively. Benefiting isolated people who have either lost touch with loved ones as lives have progressed or people that are in a situation whereby their lifestyle renders them isolated such as stay at home moms. There is also the flipside of virtual relationships and a growing concern; the latest word that has been introduced into our high-tech lives is, ‘phubbing’. Defined as ‘the practice of ignoring one’s companion or companions in order to pay attention to one’s phone or other mobile devices.’ This term can be used in our relationships with partners, children, family even our social circles as we have become more obsessed with our virtual relationships. An example of a positive situation is Mumsnet, a chatbot platform where moms can interact to address the loneliness but, the point is to have balance in life, the virtual interaction can become negative if she should begin to ‘phub’ her children and partner. In China, Xiaoice the chatbot has become known as “girlfriend app”, the chatbot uses artificial-intelligence software to remember details from previous discussions and mines the web for question-and-answer style conversations. This is perfectly acceptable in situations where someone doesn’t have the time or opportunity to be involved in a human relationship, however, one might consider if by having a ‘girlfriend chatbot’ some might not bother to seek a human relationship. With Artificial Intelligence developing at a rapid speed combined with availability, reactive coding with the ability to understand and respond in a human-like way as well as voice control interfaces the benefits to socially isolated people could have immense positive effects. Offering a degree of companionship, ‘people talk to themselves or to their pet cat, and chatting to a bot would at least get a real response some of the time’, chatbots are a definite part of our future virtual lives. A healthy you from head to toe with these chatbots life couldn’t be simpler. And with platforms like Snatchbot allowing developers to make chatbots for free, there are a growing number of bots you can chat to for motivation. You can even develop your own if you feel you have some positive thoughts to offer others. Go ahead, it’s easy and it all helps!